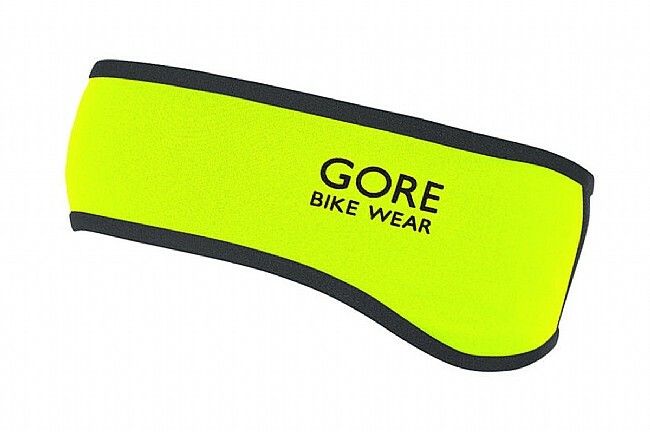 Shield your head from cold winds with Gore's Universal Windstopper Headband. Windstopper® fabric in this headband helps keep you warm by protecting your forehead and ears from biting winds. Extended ear flaps and wider rear area provide maximum coverage and flat-lock seams add some extra comfort. The Universal Windstopper Headband is one size fits all. Very thin material so fits nicely under bike helmet, provides protection it ears and forehead to keep chill away but not too hot to wear on an incline, prefer this headband to a thicker fleece one I own. Serves its purpose of blocking chilling wind from your ears. Fits easily under my helmet and straps. Does not block sound noticeably. Not good for tiny noggins. I have a pretty small head (wear a small helmet) and this was very loose around my head and ears. Would prefer something smaller with greater stretch. Probably fine for anyone who wears a Med-XL helmet. This headband keeps my ears warm during my early morning run.